As I left Davos and the World Economic Forum for another year, I sat in a quiet place at dawn, looking at the snow-covered mountains and the beauty that is Davos, Switzerland. As I left Davos and the World Economic Forum for another year, I sat in a quiet place at dawn, looking at the snow-covered mountains and the beauty that is Davos, Switzerland. It really takes your breath away. It is so serene. It also sharply contrasts with the intensity of schedule and activities of the last few days. Everyone who participates has an impossible schedule, trying to balance attendance at the meeting with the bilateral sidebars and the social events. In the end, we hope that it is worth the time, effort, and resources that are required. I always enjoy my time at the forum, but mostly in hindsight when I have had a chance to absorb what I learned and have had the opportunity to digest the tremendous amount of follow-up needed after almost 100 meetings for me and my team. This year, I spent a lot of time thinking about the role of business, particularly with the fact that governments clearly are unable to deliver against the huge problems that face the future of the world. It is probably because I am a strong believer in what the private sector can do and has done to shape and change the world. My big takeaway, which I guess is not a surprise, is that we are in for a lot more change, and that is a good thing. We need to be open-minded to new models to deliver products and services in the future. The idea of shared value or profits and purpose is something that is essential to rebuild the bonds between business, government, civil society, and consumers. The frustration symbolized by Occupy Wall Street and similar movements around the world is not so far removed from the frustrations of young people that ignited the Arab spring. They are indicative of an undercurrent that was the itch that Davos was trying to scratch - the world is changing, expectations have changed, and the gap between rich and poor is unsustainable for the future. What those models are and how they affect the ways we work are yet to be determined. There are real choices to be made for sure, but a lot of the frustration also comes from a big communication gap. Technology, particularly social media, has engaged parts of a world not used to communicating with each other, and the leaders of that world have not embraced these channels or the skills required to use them to be accountable. Our roles as strategists and architects of communications have never been more essential. 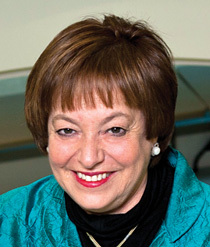 Margery Kraus is chair, founder, and CEO of APCO Worldwide.